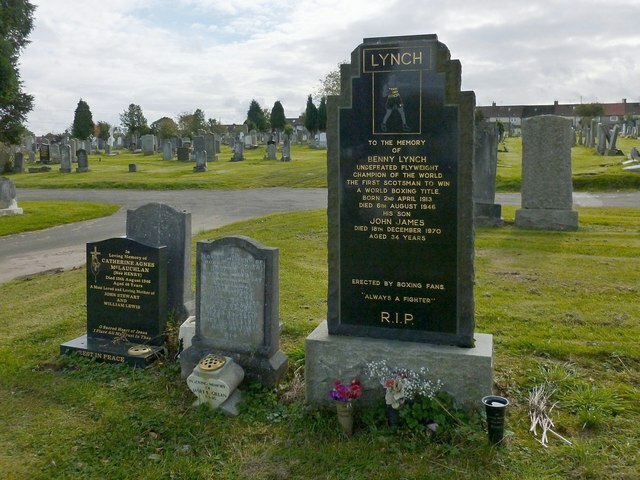 This is the memorial of the boxer Benny Lynch, "undefeated Flyweight Champion of the World, the first Scotsman to win a world boxing title". It also commemorates his son. This Roman Catholic cemetery was established in 1882. The Western Necropolis (1882) – Link – adjoins it on the west, and the slightly older Lambhill Cemetery (1881) on the north.